Stop throwing away valuable sequence data! 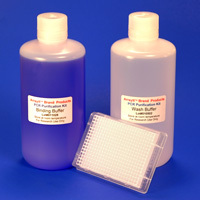 Advanced separation chemistry and membrane binding provide kits for rapid and affordable purification of dye terminator sequencing products. 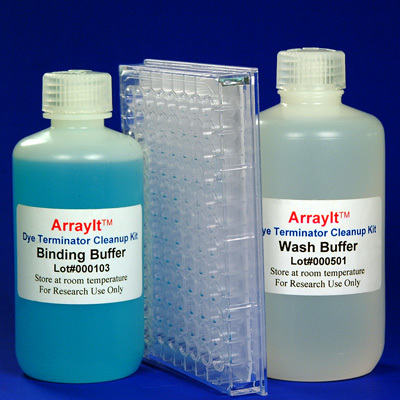 The 96 and 384 well kits routinely provide sequence data that outperform dye terminator products purified by alcohol precipitation methods, at a fraction of the cost of single column products. In the era of large-scale genomic sequencing, it makes sense to integrate our multiplex Dye Terminator Clean-Up Kits into your automated DNA sequencing process.